There are a few secrets you can utilize to ensure your Toronto masonry structure outlives you! Masonry structures have proven durable over many centuries but that doesn’t mean your masonry structure will last forever without proper care. Here are 7 top tips for longer lasting masonry structures in Toronto. 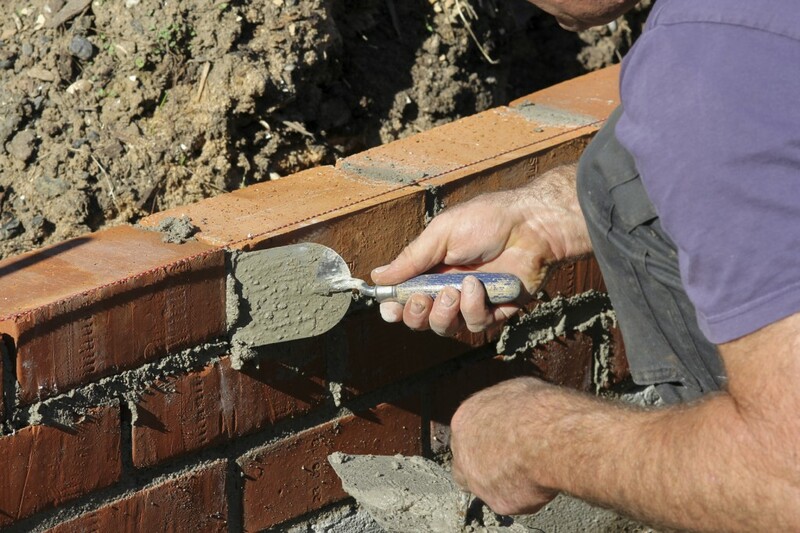 The number one tip for long lasting masonry is proper installation and repairs. A well-mixed mortar that is made to stand up to Toronto’s elements is adamant. Finding a highly rated and experienced company to do the job of building and repairing masonry structures pays for itself over time. An experienced mason knows the right weather conditions to work in, the right mortars to use, as well as other surrounding factors that increase a building’s efficiency and longevity, such as proper drainage systems. High quality masonry work is all for nothing without installation of functioning drainage systems. Creating drainage systems prevents water from overloading your masonry joints and weakening them. By controlling water so that it moves away from the structure you ultimately protect it from a considerable amount of wear and tear. Once drainage systems are installed it’s important to keep up with them to make sure they continue to function properly and do their job. At the first sign of water damage you want to act quick. When left untreated, water damage leads to complete break down of masonry. The longer you wait to address water damage the worse it becomes, increasing the costs associated with fixing it. If you notice a white build up of efflorescence this is a sign of water damage and you need to remove it right away. Dilute tri-sodium phosphate with warm water. Then, dip a soft-bristled brush in the mixture and scrub at the white salt lines until they become less visible or completely disappear. Any signs of cracks in mortar joints will also lead to water damage, as water is easily able to sneak inside of these cracks. At the first sign of cracked mortar joints contact a professional for repointing. Moldy bricks are a world of trouble that you want to avoid at all costs. Unfortunately, bricks in moist shady areas are very prone to developing mold. Always check bricks for signs of mold, especially bricks that don’t get much or any sunlight. If you see moss or mold developing on bricks you should use a small dab of bleach diluted in water to scrub at the area using a soft-bristled brush. Always try out a small amount of bleach in a discreet area before using over a wider area to ensure it doesn’t discolor surfaces. Cleaning bricks is important but how you conduct this task really matters. Using overly abrasive cleaning methods contributes to breaking down of surfaces. Using gentle cleaning methods on a regular basis is the best way to prevent stubborn build-ups that prompt the use of harsher cleaners in the first place. Many cleaners contain a host of harmful ingredients that will strip away the natural beauty of brick and make it more susceptible to water damage. It’s not just harsh chemicals you need to look out for. Certain cleaning methods, such as power washing brick, are overly abrasive, causing the top surfaces to chip away. If your bricks are too dirty to clean using gentle methods, contact us and we will clean up your bricks so that they look like new and last longer. If you notice any signs of cracking or chipping you should have repairs conducted before the rainy season hits. This will help prevent damage from expanding. Also, tasks such as repointing incur better results when conducted during dry seasons. Cracks in masonry joints, or missing mortar. White efflorescence stains on bricks or mortar. The growth of mold, moss or green foliage. Spalling bricks, or bricks falling out of the structure and onto the ground below. Cracks along the entire wall, diagonal or straight. Sagging in the middle of window headers or diagonal cracking near the corners of windows. At the first sign of damage contact Turnbull Masonry, the leading experts trusted to repair Toronto’s newest and oldest residential and corporate buildings. We are here to help your brick masonry structure last for many years to come.